On the other Mac, quit any other open applications and then click Continue. on) that you want to migrate to your Mac mini. Click Continue to start the migration. Don’t use the other Mac for anything else until the migration is complete. 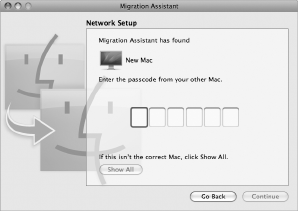 later time using Migration Assistant on your Mac mini and your other Mac.